Sunday Dawn and I hosted our first House Rabbit Gathering. We had a great turn out on such a windy and cold day. We also were able to raise over $100 for local rabbit rescues. One rescue benefiting from the raffle is Sabrina’s House Rabbit ResQ in Rocky Mount. Click here to see their website. 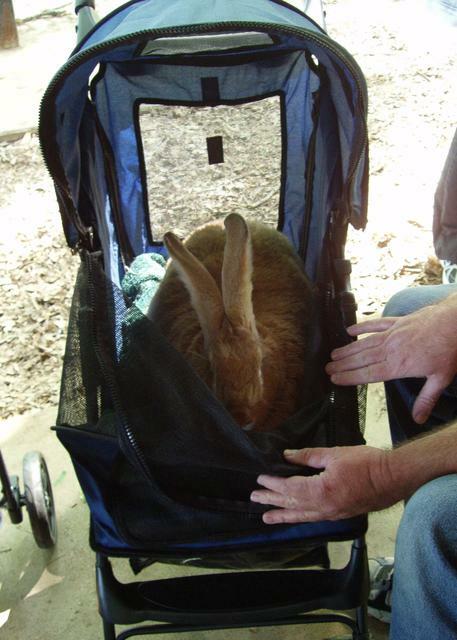 They are an incredible organization that cares for special need bunnies. They brought with them two of their rabbits…. Flemish Giants!! They were a huge hit. Here are a couple pictures. For those of you who can’t grasp their size. They are both bigger than JD and their ears are as long as my hands. Here is one Casey took of my smallest baby bunny.